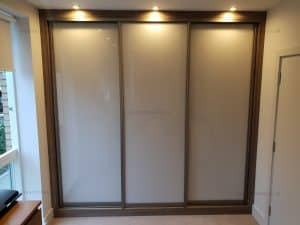 Why Choose Bespoke Wardrobes ? Whether you are into cars, phones, computers, clothing or jewelry, the ability to personalize products and service has been a major come-on marketing tool and key product feature to attract and retain customers. With made-to-measure wardrobe you get not only the closet made to the certain size but also the storage solution with features you choose yourself. Custom made wardrobe or furniture in general had the advantage of being capable to adapt to the specific dimension and shape of the space. In spite of how diverse your house design, customizing would always allow you to have a wardrobe in your available space. Custom made wardrobe can maximize the storage space. You can have a built-in wardrobe in your loft room or under the stairs which would otherwise be wasted and unused space. In this way you are able to achieve optimal use of the square footage. Bespoke wardrobes can be made to meet personal needs and requirements of the homeowner. In case of a custom closet, you can ask to include additional features for the furnishing to meet your specific needs or personal idiosyncrasies. For instance, a music aficionado may want a walk in closet with provisions to integrate a sound system so he can listen to music or have a built-in storage for his priceless CD collection, among others. Bespoke or custom made wardrobes allow user to have a say on every single element in designing the wardrobe. You can choose which materials will be used, what colour, where it will be fitted, the number of drawers, the size of the storage, or any other wish that you might wish for. With fitted closet you can create unique product that reflect your personal lifestyle. How Loft Wardrobes Use Home Space More Creatively?